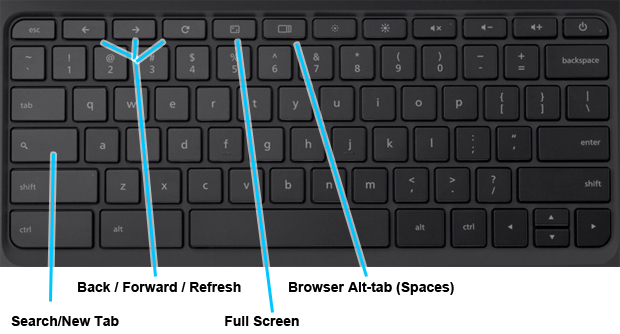 This post lists several reviews, summarizes the essentials, and makes several observations about Chrome OS. It's ready when you are, booting in about 10 seconds and resuming from sleep instantly. There’s built-in Wi-Fi and 3G, so you can stay connected everywhere, and a webcam for video chat. The vibrant 12-inch LCD display, full-size keyboard and oversized touchpad let you enjoy the web comfortably. And at just 3.8 pounds [1.72 kg] with over eight hours of active usage and a week of standby time, it’s easy to take along for the ride. What did we leave out? Spinning disks, caps-lock key, function keys, and lap burns. Setting up the system is a cinch -- not radically different from setting up an Android phone. You provide your Google Account info and snap a photo of yourself with the Webcam. that's about it. Working with documents is still a bit tricky. Google Docs can help with office documents, but working with ZIPs is even more complicated. The file system is completely hidden from the user. This will probably change in the future. I expect Chrome OS to support external USB storage devices and cloud storage. Printing is also a challenge. Review #1 mentions (online) ways of converting a web page to a PDF and of automatically printing PDFs from a desktop computer if they are uploaded to a Dropbox folder (from anywhere). There are already an amazing amount of web apps out there that do almost anything (edit photos, draw diagrams, create slides, etc.). Alas, few of those work offline, so you normally need to be connected to the internet. There is surprisingly little you cannot do with Chrome OS (coding and heavy gaming come to mind, both of which are slowly being supported on the web platform). Privacy is an issue one should keep in mind.